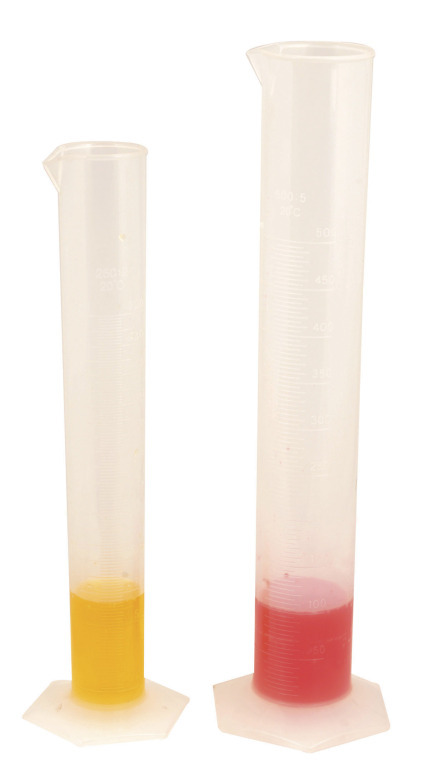 Polypropylene measuring cylinders having excellent clarity and good chemical resistance. Autoclavable up to 130°C. These cylinders have raised graduations on the outer surface with an excellent easy-pour tapered spout.